Since we launched GameBench in 2014, and with the help of constant feedback from our clients and free users, we've developed not only a great tool but also an industry-leading methodology for testing and rating gameplay experiences. 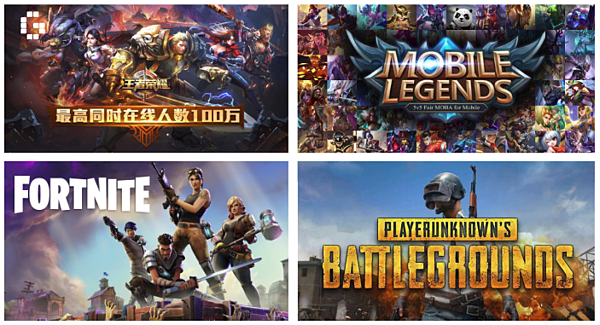 In addition to our Reference Data Beta, we've already put this methodology into practice through ad hoc projects for some of the biggest mobile gaming companies (most recently Super Evil Megacorp, who asked us to publicly benchmark Vainglory 5v5). We're now ready to offer our benchmarking expertise in a more formal way, as a complete benchmarking and competitor analysis service for both game makers and hardware makers -- especially those who want to demonstrate the quality of their products to consumers. The service will be delivered by the GameBench Labs team of experienced project leads and game testers within GameBench Ltd. If you're interested in this new service, feel free to get in touch by email or keep reading for more. 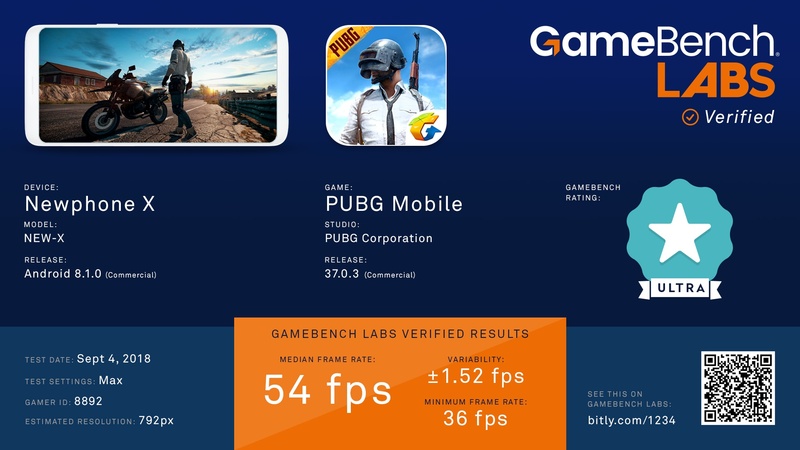 When a mobile gamer sees "GameBench Labs Verified" branding on a results card like the sample above, combined with a URL and QR code that links back to a results page on our own site, they'll know that the performance claims presented in that card haven't just been conjured up by a marketing department. They'll know that the numbers have been verified by us, a long-established and commercially independent company that lives or dies on its reputation. What does GameBench Labs measure? Estimated effective resolution Helps to describe visual quality (Note: this is often very different to physical screen resolution). Where a device plays a game at a lower resolution than other devices, we'll note this on our results cards. Frame-to-screen sync Describes how much gameplay time was spent at a stable frame rate that suits the screen refresh rate (Hz) and therefore had reduced risk of judder. Power consumption Describes the battery drain experienced while playing a game. If we observe battery drain of more than 25 percent per hour (i.e., less than four hours of gameplay on a charge), we'll note this on our results cards. Tell us which games you want tested on which devices. This can include both your own and competitor products. Consumers often want to know how high-intensity games (like those shown above) perform on high-end or gaming-centric devices, and we can help to guide your choices if you wish, based on what's popular in our crowdsourced database. We'll provide you with Verified results cards under NDA. These will quickly show you whether your gaming quality is good enough, or whether further optimisation is needed. Optionally, we can also provide a full set of raw data that can help you diagnose and fix performance issues much quicker than relying on subjective testing or post-launch customer complaints. If you have a high-profile product, it's very likely that a tech site like XDA, Tudocelular, PCPop or 4PDA will eventually test your product with GameBench. 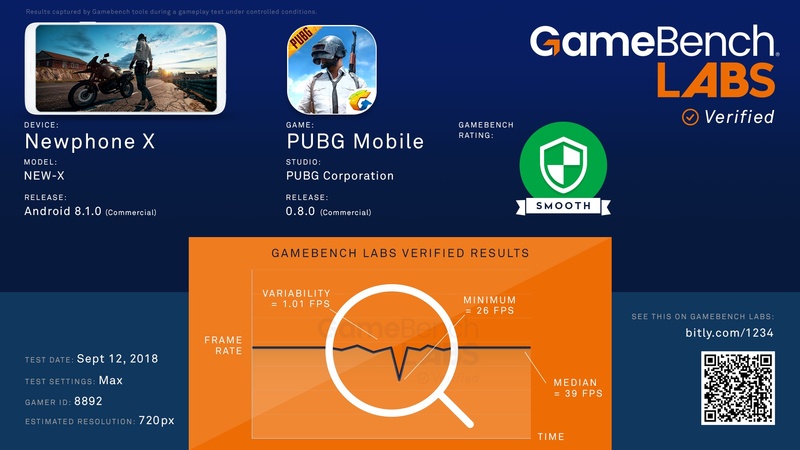 But you can get ahead of the news cycle by using GameBench Labs Verified results, including our logos and watermarks, as part of your launch publicity, so that journalists and gamers know what to expect even before they do their own benchmarks. If you're interested in working with GameBench Labs, please get in touch.